For you guys who are not familiar with loth-cats. They are the scene-stealing creatures in Star Wars: Rebels. They are temperamental, a bit high-strung, but impossibly cute – just like regular cats. 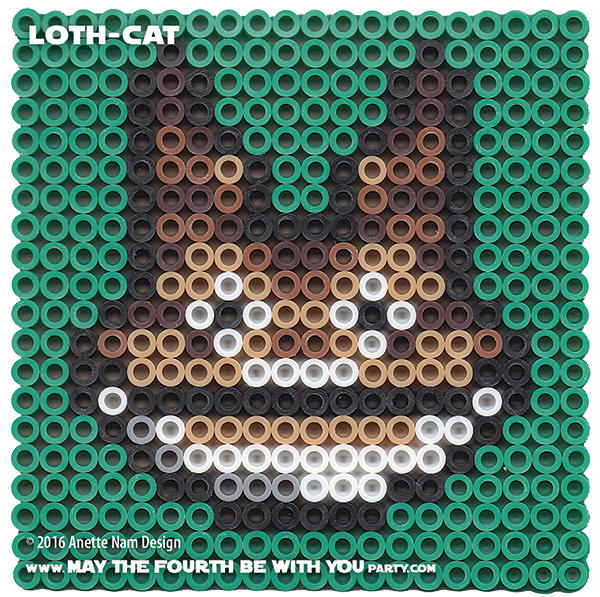 The furry feline from Lothal is #60 in the Perler bead/cross stitch/crochet/knitting/Lego/pixel/mosaic pattern series.